Together we’ll find him a HOME in a HURRY. 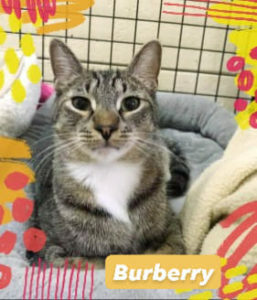 BURBERRY was rescued at 7 weeks old in Uniondale; he turned 1 year old on the vernal equinox.. Most of that kitten year he lived at Last Hope Wantagh . Which is So sad for such a sweet tabby boy. BURBERRY is so affectionate. He just has to find his furever home soon.